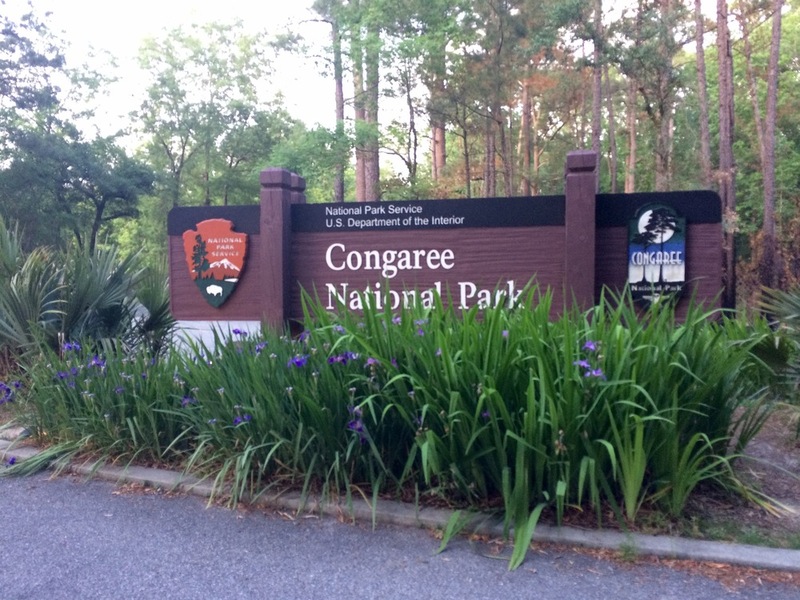 Did you know that the Congaree National Park is South Carolina's only National Park? 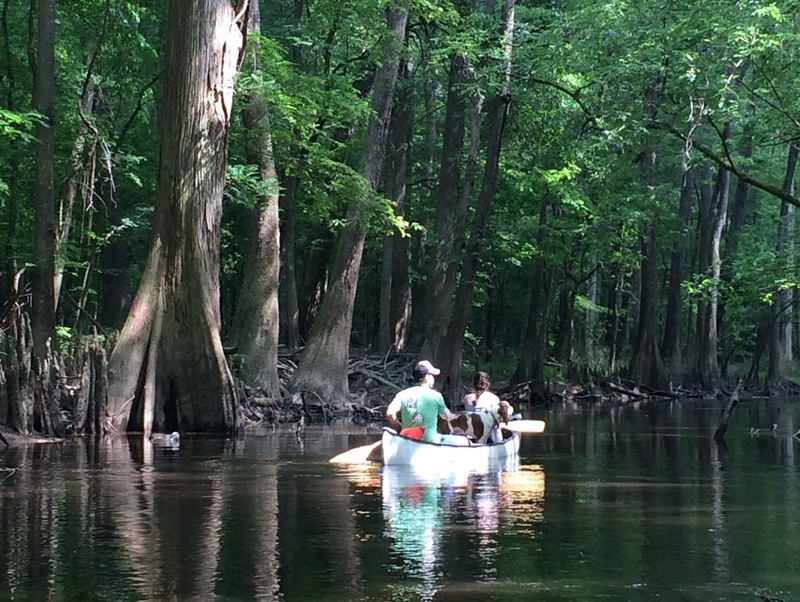 Located about thirty minutes outside of Columbia, "the largest tract of old-growth bottomland hardwood forest left in North America is found in this swampy national park" - over 22,000 Acres of preserve on the Congaree River. Ted and Lou and I drove up for the day last year to do a 10 mile hike to the river and knew we wanted to come back with the canoe asap. 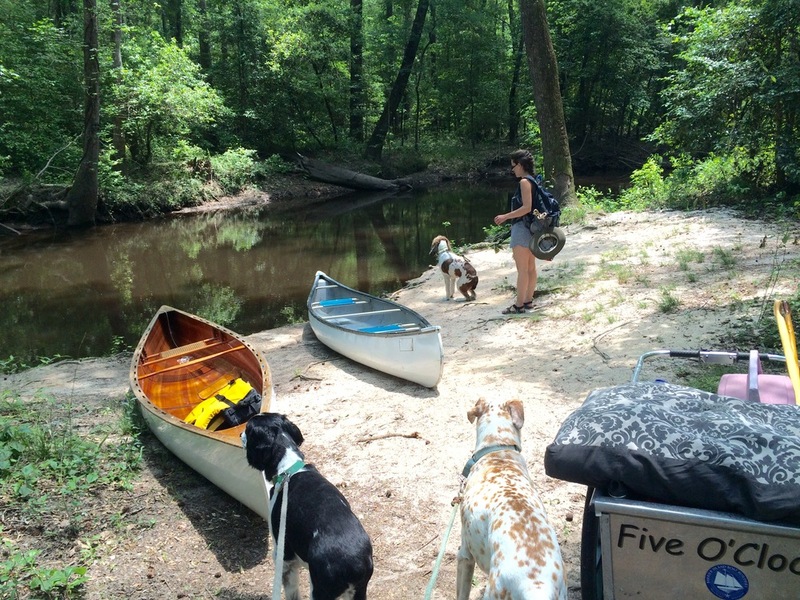 So this year, for our annual April camping adventure with Douglas and Ashley, we spent the weekend at the campground located in the Congaree National Park with canoes and dogs in tow. 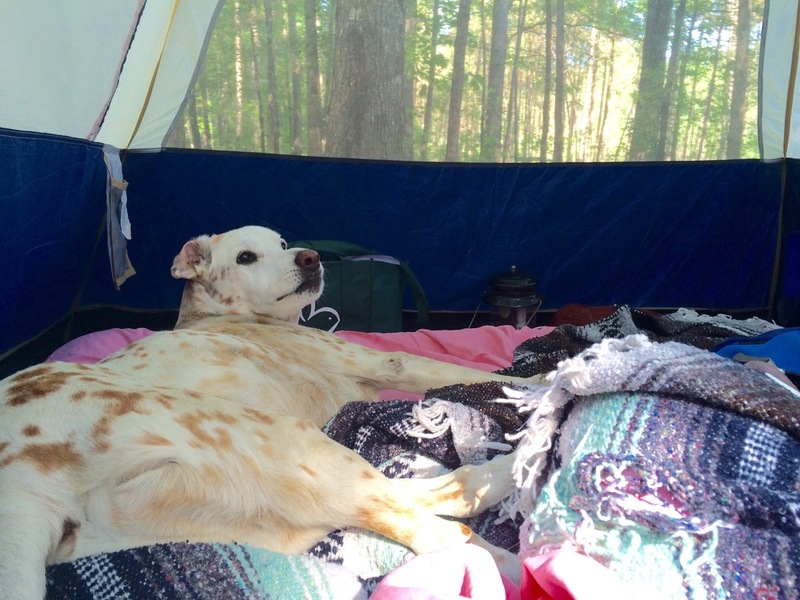 The campground was great - wooded and natural - the campsites weren't on top of each other. There isn't any running water and you have to tote your stuff about 1/4 mile from the parking lot to the campsite, but it's worth it not to be in a parking lot atmosphere. We only got reprimanded by the ranger once (dogs off leash rule, per the usual - and we had three dogs with us) I'd definitely give the place the thumbs up - just don't go during mosquito-season because that would be uber miserable. 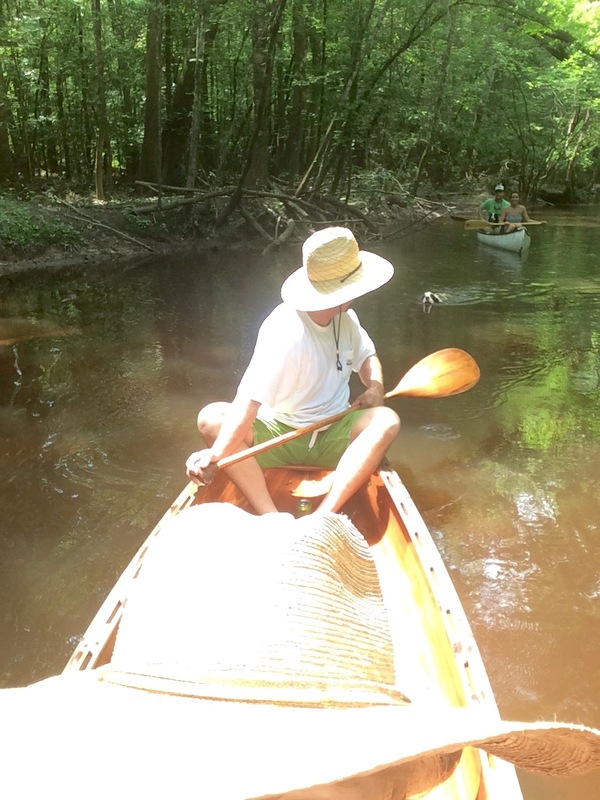 We canoed both days - about 7 miles one day and 10 the next - down Cedar Creek and into the Congaree River. The water level was a about 3 feet down and there were a lot of portages to get through but nothing too crazy (a lot of trees down due to the october floods) but it was certainly some of the more challenging canoeing I've ever done, minus some tide/current moments in the ocean. We saw loads of wildlife: Barred Owls, American Goldfinch, Pileated Woodpeckers, Osprey, a beaver, TONS of King Snakes (most snakes i've ever seen in a two day period, for sure), alligator gar…the list goes on. I highly recommend checking the park out - even better if you can do it by water. Here's link to the park's website and also one for info on camping.